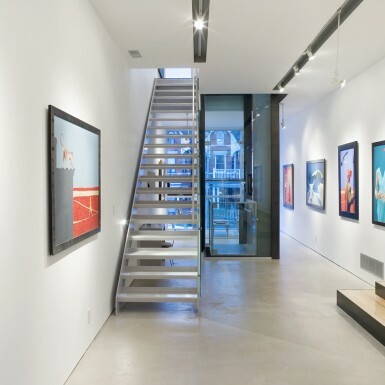 This new 3 storey residential project is linked to an existing artist’s studio in a vibrant downtown area between Chinatown and the Art Gallery of Ontario. 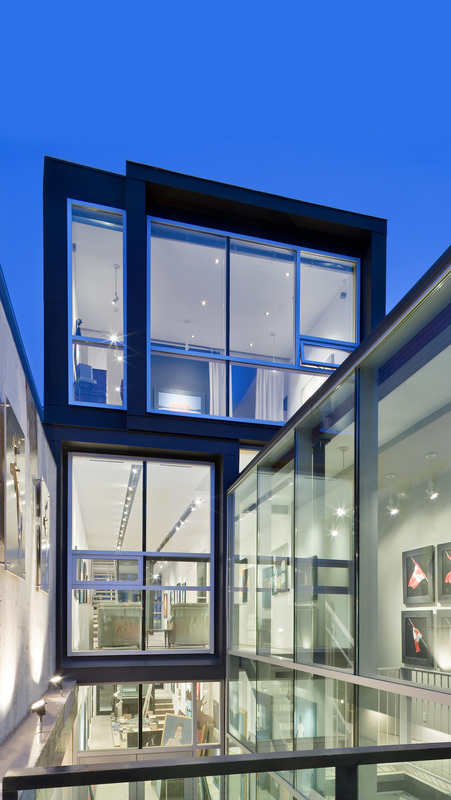 Located within a narrow site widened at the existing artist’s studio toward the rear lane, a series of 1,000 square foot stacked and staggered metal clad ‘tubes’ draw light and sky into otherwise long horizontal floors. 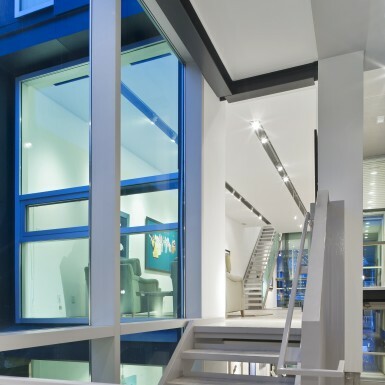 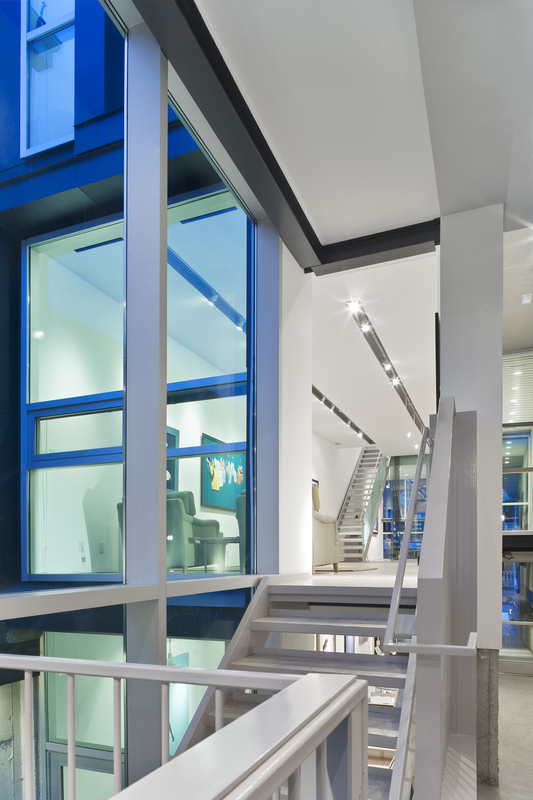 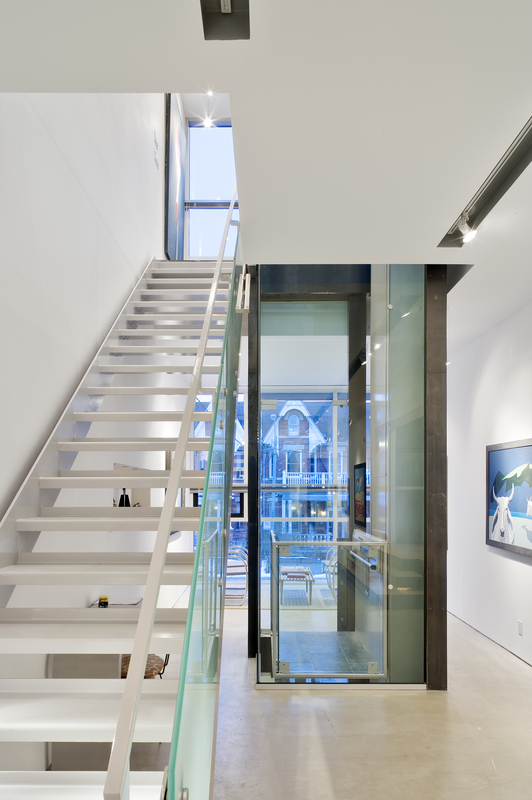 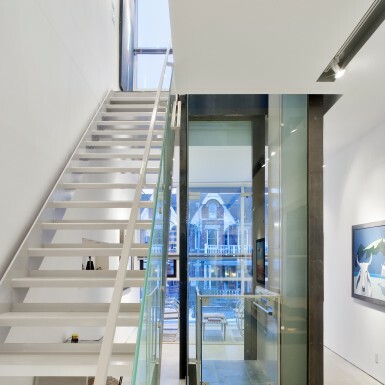 Revealed by aluminum frames glazed with clear glass, the ‘tube’ ends reveal a translucent glazed vertical interior tube containing private stair access joining artist’s library, archives, and new living areas. 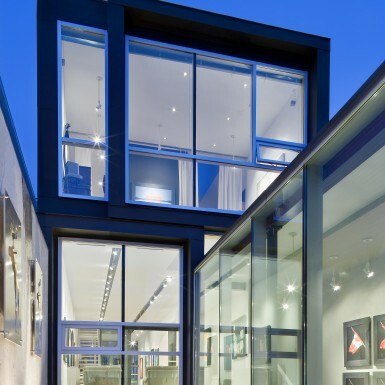 Amidst courtyards and terraces located along the ‘tubes’, framed views of neighbourhood trees and Victorian context become backdrop to a quiet interior of cherry wood storage cabinets, wardrobes and kitchen cabinets in an otherwise austere contemplative residence.